YOU CAN TRUST WITH A PERSONAL TOUCH! Let us help you with your family's legal needs! Coaching sessions starting at $575.00! 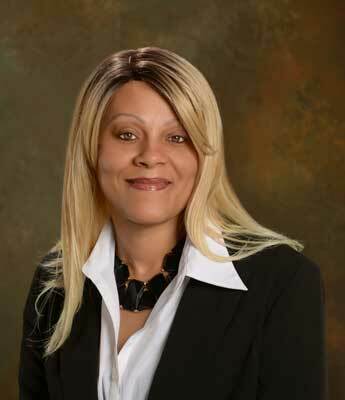 She Handle[s] Your Case with Thoroughness and Competency – I have found Ms. Tonya Gibbs very knowledgeable, competent, hardworking, and honest. She readily keeps you abreast of the status of your case. She has handle several cases in the last two years for me, and I have been completely satisfied with the outcome of them. If another legal matter comes up, I will contact her office again. This office strives for excellence in providing our clients service in Business Law, Family Law, Estate Planning, Immigration and Personal Injury Law. We work with small businesses including government contractors, individuals and families. We would be honored to work with you. Service is of vital importance and we treat our clients the way we would want to be treated. We offer personal, individual and attentive services. Communication is key and we keep the doors of communication open so our clients always know what is going on with their case. Whether your case is complex or simple, we provide the same zealous advocacy and attention to provide you with the most optimal outcome possible under the circumstances. We will leave no stone unturned. We fight for you. …………………………………………………………………………………………………………………. ……………………………………………………………………………………………. We are zealous advocates fighting for you! We offer objective legal advice and guidance. We are a legal team that strives to exceed all expectations and provide big services at reasonable rates. …………………………………………………………………………………………………………… …………………………………………………………………………………………………….. ……………………………………………………………………………………………………. Don’t play Russian Roulette with your business! Having the right legalities in place can mean the difference between success and failure. Contact the office today so we can help you! Have you ever signed a contract without fully understanding it? Have you been too trusting or reliant on the other party to do the right thing? Don’t sign a contract you don’t understand. Government Contractors have unique business needs. When it comes to teaming agreements, non-disclosure agreements and subcontracts and other business contracts, you need to understand what you are signing before you sign it. Contact our office today so we can help! It may seem impossible to have peace when dealing with a divorce, a custody battle or child support dispute. Our goal is to help you achieve the best possible outcome, under the circumstances. People underestimate the importance and necessity of having a properly drafted will and plan in place for when you pass on. Contact the office today so we can help you! You’ve been in accident, not only have you been hurt physically, inconvenienced and distressed, now the insurance company wants to find every way feasible to belittle and reduce what you have endured. This firm understands that legal fees can be expensive and therefore, many people may not be able to afford the expense of hiring an attorney for full representation. Pay for only the services you need! Legal Research and Analysis and more! Don’t try to navigate immigration laws alone! Immigration laws are constantly changing and are quite complex. Let our office help you navigate your immigration and naturalization needs! In some shape or fashion, we all run into legal issues or matters impacting our rights each and every-day; You don’t have to figure it out by yourself, get help. Knowing is half the battle. Contact us!